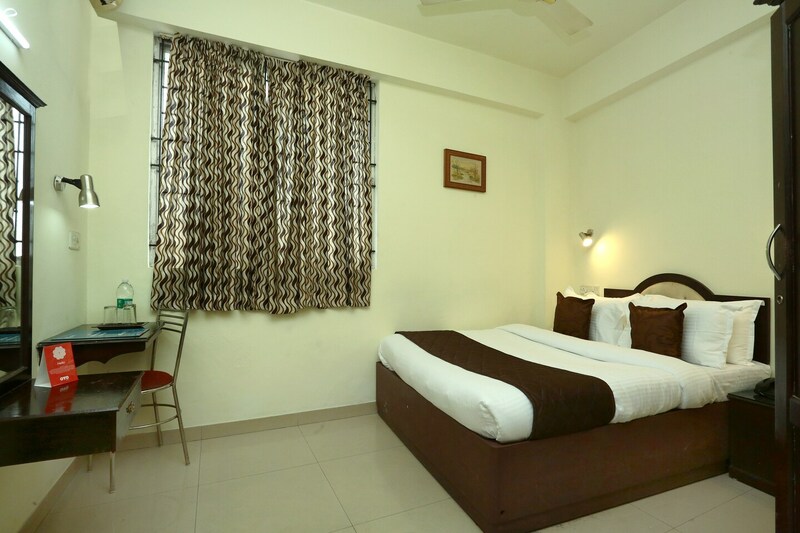 A popular choice among travelers visiting Kochi and for those looking for amazing accommodation without feeling a pinch in the pocket, the getaway Inn is a wonderful hotel. The rooms are well-furnished and well-lit. The notable addition to every room is a plush wooden couch that enhances the overall homely feeling. Paintings adorn the walls of the room, making the space appealing. The additional facilities provided by the hotel are free Wi-Fi, CCTV cameras, laundry provisions, wheelchair accessibility, card payment in all forms, and an uninterrupted power backup supply. The front desk service is elegantly decorated and the experienced staff stationed there helps the guests with their requests and requirements.